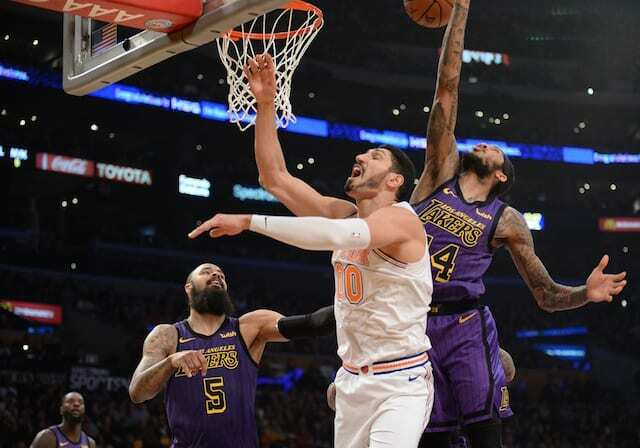 Former New York Knicks center Enes Kanter has agreed to a deal with the Portland Trail Blazers, less than a week after being released by the Knicks shortly after the NBA's trade deadline. Blazers beat a crowded field for Kanter, including the Lakers, per sources. Excited to meet me new teammates, coaches, staff and most importantly the fans. But after playing in 44 games - including 23 starts - Kanter fell out of favor when the team chose to shift its priorities toward developing their young big men. Kanter, who hails from Turkey, has been openly critical of the Turkish government and did not travel with the Knicks for a January game in London because he said he feared for his safety. Kanter, still just 26, apparently did not qualify, as he will be a free agent after this season. Kanter has appeared in 560 career games with the Utah Jazz, Oklahoma City Thunder and Knicks. The Blazers are 33-23 on the season, good for fourth place in the Western Conference standings.